In the last year, we've noticed an explosion of "Free Printables" found on the web and especially on Pinterest. There are so many talented designers who design signs, banners, and party suites for other people's personal use. We have taken advantage of the opportunity and used some great ones for Valentine's Day, St. Patty's day, Easter and more! Now it's time to return the favor. 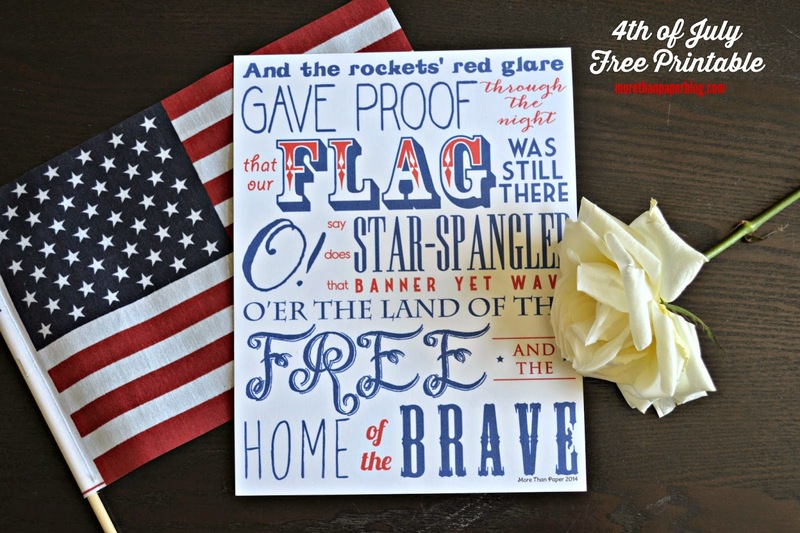 More Than Paper's talented graphic designer created this FREE printable sign for the 4th of July! 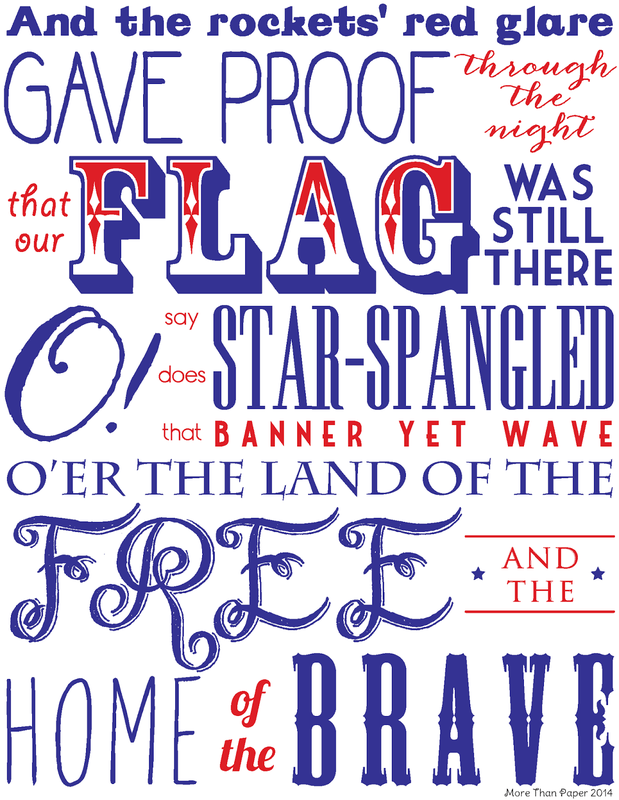 Print it out and frame it like we did, put it up on the mantel and proudly display your love of this great country. Feel free to share it with your friends! Happy almost 4th of July!